Recently, Rick Stein visited Lisbon as part of his Long Weekend Series for BBC 2. Knowing that this episode would inspire others to visit Lisbon, I’ve put together a list of the places he visited so that you can create your own long weekend in Lisbon. If you’re looking to re-create any of the dishes in Rick Steins program, he has a new cookbook out: Rick Stein’s Long Weekends. This book contains recipes for pasteis de nata (Portuguese custard tarts) along with a few other Portuguese dishes. The Pastéis de Belém café in Lisbon is probably the most popular café in Lisbon. The pastéis de nata are obviously great, although it’s worth noting they’re not necessarily the best in Lisbon. Several newcomers have popped up over the past few years, and they may even be better than the originals. Our blog post about the best pastéis de nata in Lisbon features several other cafes that are worth visiting like Manteigaria and Aloma. If you visit Pastéis de Belém, be sure to compare them to some of the others and let us know what you think. Of course, if you’re already visiting Belém to see Jerónimos Monastery or the Belém Tower you should go to Pastéis de Belém. It’s an institution, a historical landmark, and definitely worth a try. Cervejaria Ramiro is one of the most popular cervejarias (seafood restaurants) in Lisbon. It used to be a fairly off-the-beaten track place but was made popular when Anthony Bourdain visited it a few years ago when he filmed No Reservations in Lisbon. Now that it has been featured on two TV programs, it’s become incredibly popular and reservations are definitely recommended. They don’t always take them in which case you’ll need to queue. Getting there early (before 7.30pm and ideally before 7pm) means you’ll have a better chance of getting a table. Piri-Piri chicken (frango asado) is more of an Algarve dish. Many people say that if you want good piri-piri chicken, then you need to visit the Algarve. Restaurante Ramires in Guia is probably the most popular Algarvian restaurant, but I tend to go to Churrasqueira Valdemar in Silves or Churrasqueira Guerreiro in Portimão. If you aren’t venturing towards the Algarve on this trip, then you will have to “make do” with the piri-piri in Lisbon. Rick Stein’s recommendation is A Valenciana, which is near Marquês de Pombal. Tip: It’s also quite close to Mercado 31 de Janeiro (the fish market Rick goes to) so you could cover both of these in a morning. The Águas Livres Aqueduct is an incredibly beautiful attraction and definitely worth a visit. You can visit the aqueduct and its museum every day except Sundays. To visit the aqueduct using public transport, get off at Rato metro station on the yellow line. On his way to Sintra, Rick Stein stopped at a beach-side restaurant for prawns and clams in garlic and coriander. You’ll need a car to get here as it’s away from where the tour buses stop. The Agrada beach is nearby, so if the weather is good you have a good opportunity to combine it with some sunbathing or a walk along the coast. Mercado 31 de Janeiro is one of Lisbon’s many fish markets. If you’re short on time, you can visit the main market in Mercado da Ribeira (the Time Out Market) which was the big food hall that Rick later visited. If you’re a little more relaxed time-wise, Mercado 31 de Janeiro is worth a visit and you may even bump into the famous Acucena Veloso. The market is near the Picoas metro stop on the yellow line. As mentioned, it’s also close to A Valenciana if you want to try the piri-piri as well (if you’re not visiting the fish restaurant). The Mercado Da Ribeira food market (Time Out Market) is one of Lisbon’s most popular markets and attractions. Here, you’ll find a number of food stalls offering everything from traditional Portuguese dishes such as leitão (suckling pig) and octopus salad to international dishes like burgers, sushi, and pizza. Rick tried the pig cheeks, bacalao with fried potatoes, and deep fried beans but you’ll see this is only a fraction of what’s available to try. At the very end of the show, Rick visits Restaurante Ponto Final in Almada. This is on the other side of the river, giving you a good opportunity to visit the Christ the King Statue that you’ll no doubt have seen from the city. To get across to Almada, you will either need to go across the bridge or take the ferry. If you don’t have a car, the ferry is the easiest way to go. Just head to Cais do Sodré metro/train station, conveniently located next to the Time Out Market, and take the ferry from there. The ferry is part of the metro network so you can use your rechargeable metro card (available from any metro station) to pay for the trip. 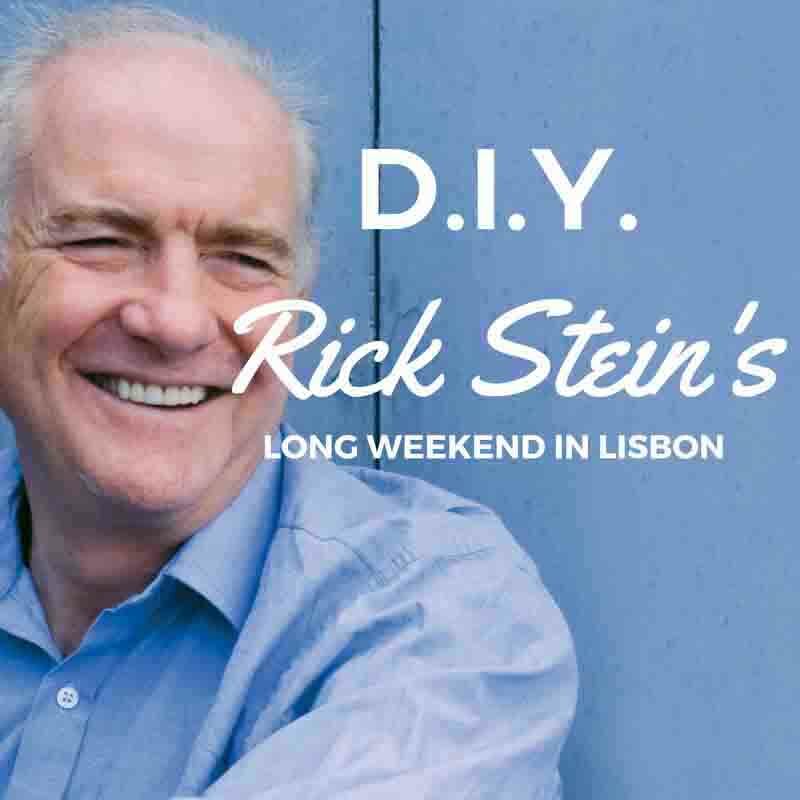 Rick Stein visited Lisbon during the Dia de Santo Antonio (Saint Anthony’s Day). This takes place every year on the 12th/13th of June but be warned: it’s quite a popular time to visit Lisbon. Avoid making the same mistake as Rick by booking your hotel well in advance. Tripadvisor is obviously a great starting point for finding the best hotels in Lisbon while Airbnb is great for finding an affordable apartment. In terms of areas, I tend to avoid the Bairro Alto and Cais do Sodré unless I’m certain that the hotel is fairly soundproof. Both of these areas are popular with late night drinkers and can be fairly noisy. Hopefully, the hotel you’re visiting will have soundproofed itself but it’s always worth double checking to make sure. If you go to the hotel’s page on tripadvisor, you can search by keywords such as ‘noisy’, ‘loud’, etc. to see whether it’s likely to be a problem. Personally, I would look at hotels in Principe Real, Santos, and Alfama (the oldest district in Lisbon) for short stays in Lisbon. Those are just my choices, though. Although the hills are steep, the city is very accessible on foot so as long as you’re close to the centre, you won’t have a problem visiting the places mentioned above. Or, if you want to copy Rick’s long weekend in Lisbon completely, stay at the Novotel Hotel (Tripadvisor link). It’s about five minutes from the Praça do Comércio. Oh, and they serve baked beans as well. Spot a mistake? If you notice a mistake, or would like to suggest improvements to the article, please get in touch. This article was last updated in February 2019. Advertising Portugalist is funded by advertising and partnerships. This doesn't influence the articles in any way, and it helps to cover the site's running costs. Newsletter & Social Media Want to get notified when there's a new article on Portugalist? Subscribe to the Portugalist Newsletter or follow Portugalist on Facebook or Twitter. I'm also on Instagram and Pinterest. Comments are the expression of the commentator and not of Portugalist.com. Thanks for your kind comment and so glad that Portugalist is able to help! What a wonderful roundup, I really did enjoy seeing Rick on the telly the other evening, he really knows his stuff…I will have to go to LISBOA soon, to see all of these wonderful lisbon restaurants and places that he has mentioned. Thanks Jack! You should definitely visit! Congratulations! Beautiful spot to get married (and eat food!). Just watched the programme as we are going there later this year. What do you call the large Terrace area early in the programme where he is looking over Lisbon? He’s looking over Praça do Comércio (where he’s complaining about his hotel view). I imagine the shots were taken from the arch, which you can climb up. It costs very little – €2.50 I think. If you mean the square ten minutes into the show (where he’s getting serenaded), that’s Miradouro Sao Pedro de Alcantara. It’s a fantastic Miradouro (viewing point), with views over Alfama. You’ll see signs for Miradouros everywhere in Lisbon. Keep an eye out as you’ll get some great views (and photos!). This is really helpful, thank you James! I’ve just booked to go to Lisbon and the Algarve with my boyfriend in late April, and came across your website when having a peek at the list of places that Rick Stein went on his Long Weekend (the programme was repeated again the other night). Your thoughts are really helpful and I’m looking forward to seeing what other gems you have on your site, particularly re: the Algarve. Best wishes! try casa da india for grilled chicken or cuttlefish. we were there during the champions league final, and the place was full of madrilenos stuffing their faces. Fantastic tip Piers! I will definitely check it out. Thanks for the write up. I can’t wait to view the actual show here in Australia when it airs. Rick visited 3 of my favourite spots in Lisbon: Belem, Mercado de Ribeira and Cervejaria Ramiro which are all worth a visit. Was so glad to finally be able to catch this. I’ve bookmarked this page for whenwe visit Lisbon later this year. We have just returned from a week in Lisbon having been tempted by Ricks show. I wish I had seen your blog before we went, as we couldn’t remember all Ricks highlights. However, we had a brilliant visit and did a lot of what you have listed. We ate three times at the Time Out market, fantastic food choices and a great atmosphere. Glad you enjoyed it! Such a fantastic city. I have just found your blog and want to thanks you for offering such a great public service. My wife and I are going to Lisbon in early November and looking forward to both the food and the culture. Thanks again. Which House of Fado did Rick go to and where would you recommend? Ah, maybe missed something there. I’ll have to watch it again. In the meantime, Anthony Bourdain went to A Tasca do Chico. You can read a similar writeup of his trip to Lisbon here. Olá! Welcome to Portugalist, your guidebook to Portugal. I grew up in Portugal and, although I’ve lived all over the world, Portugal has always managed to draw me back. I created Portugalist so that others could get helpful and accurate information about Portugal, and so that I could share my love for this great country with others.